Summer is just right around the corner, and it won’t be long now until you feel the summer heat. Summer can bring more fun hours under the sun, but it can also become too much to handle especially if you are not adequately prepared. So how prepared are you for summer? What are the preparations needed to keep your whole household and furniture well maintained? 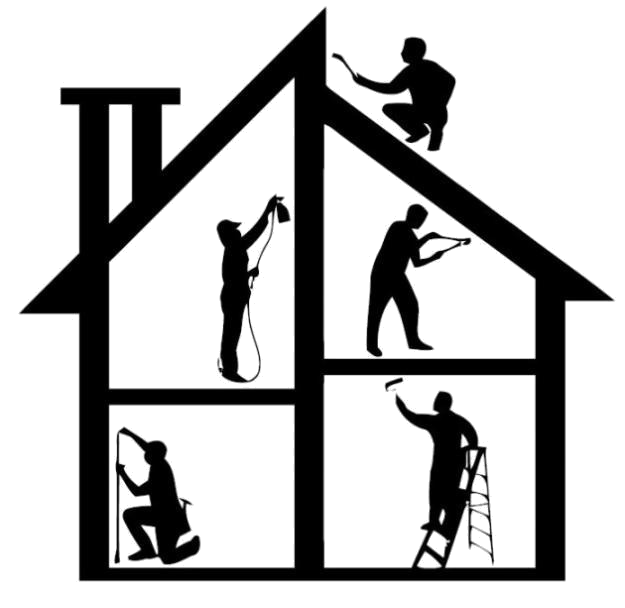 Moreover, why is house preparation necessary for the coming summer days? Preparation is the key to achieving a smooth, worry-free summer. Some people tend to take their vacation during the summer holiday, so it is important to leave your home in a good state. In doing this, you can come back to a well-maintained house after your break. There are several ways in which we can prepare our home for summer. This is to make sure that our appliances are well-maintained and our home is equipped with the necessities for battling the summer heat. 1. Make sure to remove all extra appliances, furniture, and items that you used during the winter or cold season. Extra weight should be taken off from your house, and that includes heavy and thick curtains, furry comforters on your bed, and thick heavy linen on your couch. Change it to something light, like cotton-made linens and blanket. 2. Clean all the appliances that you might use more often during the summer days. This means your fan and air-conditioning units. A clean appliance can last longer than those which are covered in dust. You don’t want your fan or air-conditioner to get damaged in the middle of an extremely hot weather, do you? 3. According to a study, bacteria production is faster in a warm environment. This means that you have to allot more time in cleaning. The best way to totally get rid of those pesky germs and dust is by using a vacuum cleaner. Remember that dust accumulation is more visible during the summer days so make sure to get the right vacuum cleaner for your hardwood floor and other household items. 4. Just like bacteria, bed bugs tend to double their number during the warm season. If you don’t have a bed bug infestation problem yet, it is important to always clean your bed sheets and pillowcases. Use a vacuum cleaner on your mattress too. You can also use the sun’s heat to your advantage. Bathe your mattress in the heat of the sun to get rid of dust mites as they can’t stand the sun’s heat. If you have bed bugs at home, try to prevent them from spreading everywhere by dealing with them right away. 5. Try to give your walls or furniture a new coat. If you are the type of person who annually changes the color of the walls and furniture, you might want to opt for a light color this time. Light colored hues give out a cooling effect since they require less sunlight. Heavily dark hues can add up on the already warm summer air. You can paint the walls and furniture with your family as your cool and fun welcoming to the summer activity. 6. 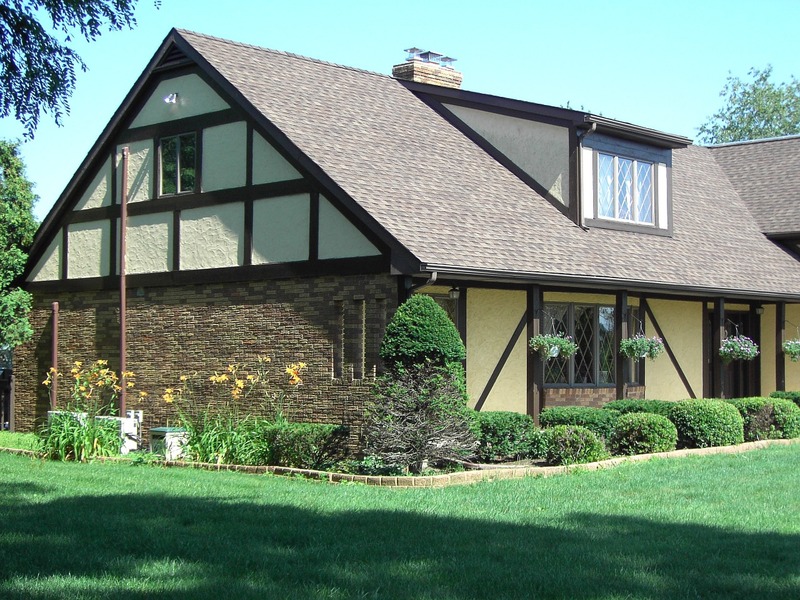 Summer is also the perfect opportunity to catch up on the must-do annual maintenance of your home like checking the gutters for anything that might cause clogging, or checking the roof for possible holes that might cause leaking. 7. Wash the exterior of your home using high-pressure water to get rid of the molds and other dirt on your house’s walls. 8. Clean your garage. Make sure all the tools kept in the garage that are made up of metals such as your hammer, screwdrivers, plier, etc. are properly stored. Warm weather can accelerate the corrosion of metals so make sure to clean your tools first before storing. If you notice some rust, try to use some remedies for rust that you can find in your kitchen. Follow these tips and you will find yourself ready and prepared for the coming summer. Just don’t forget that summer is not just about the time to worry about things going wrong. It is also a time to have fun and take out the barbecue grills for a fun day under the sun. 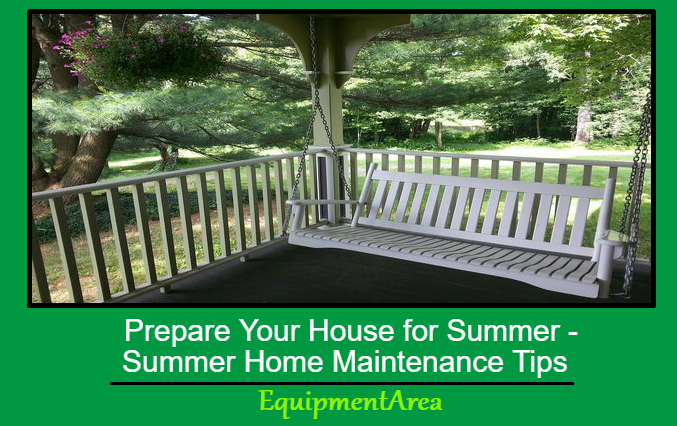 This Concludes: Prepare Your House for Summer – Summer Home Maintenance Tips. What Did You Think Of This Post? Please Let Us Know By Rating Below! Anthony is a Home Improvement DIYer, who is interested in different projects of Home Improvement. He blogs at EquipmentArea, where he shares tips, guides and reviews of different tools around the house.